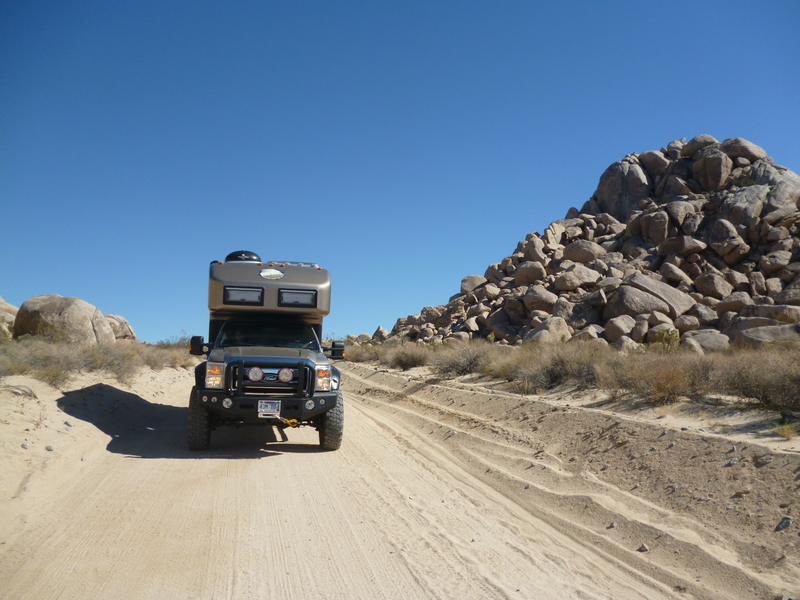 Pam and I are on the road again for another epic summer trip in the roamer around North America. The trip is really made up of of seven different trips that just happen to end when the next begins to melded into one long trek. The first leg of our trek is a western and Pacific coast adventure that will take us up through California, Oregon and Washington. 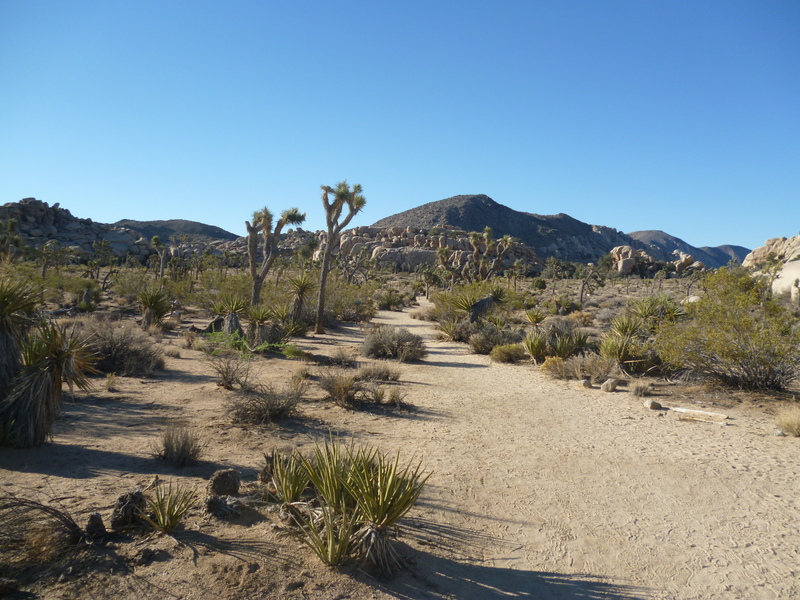 Our first stop was Joshua Tree NP. It has been at least a couple decades since Pam and I were there. It was nice to be back. 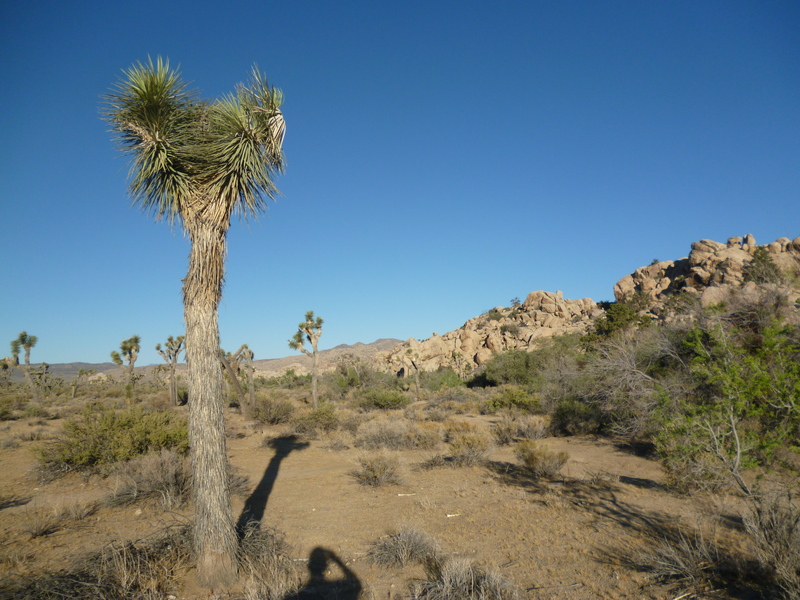 Joshua Tree looks like the place Doctor Seuss got most of his inspiration for his unique landscape drawings in his books. 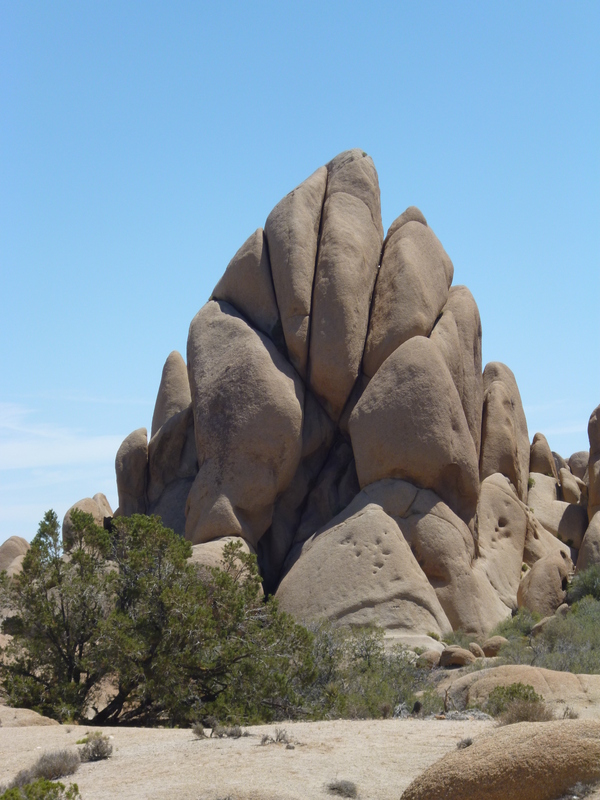 Joshua trees are really interesting and the rock formations in the park are just beautiful. 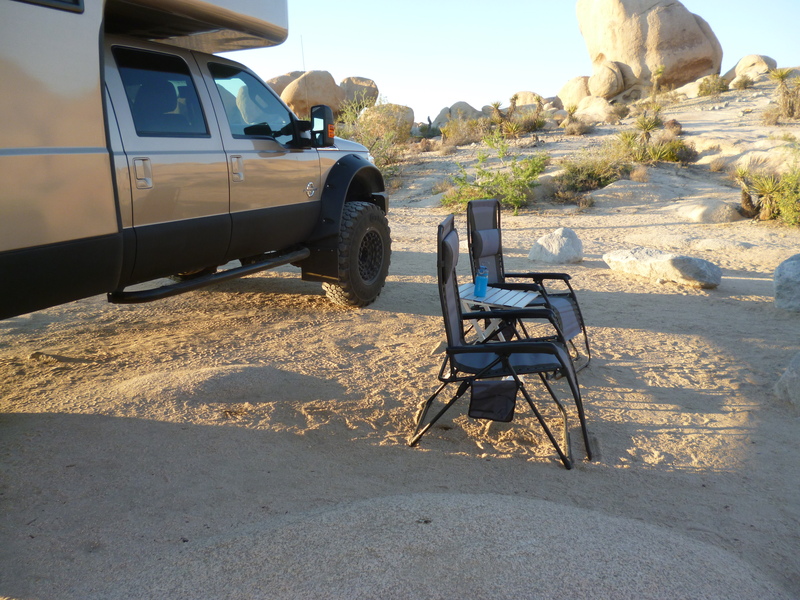 We camped in White Tank campground and got the spot at the end of the road, site 15. What a great spot. It was a little warm when we arrived but it was late enough in the day that the roamer cast a nice shadow that we could hide from the sun. You know your vehicle has enough ground clearance when there is no shade from the setting sun. We got out early for some beautiful hikes in the park. Barker Dam and Hidden Valley are two of the ones we did. 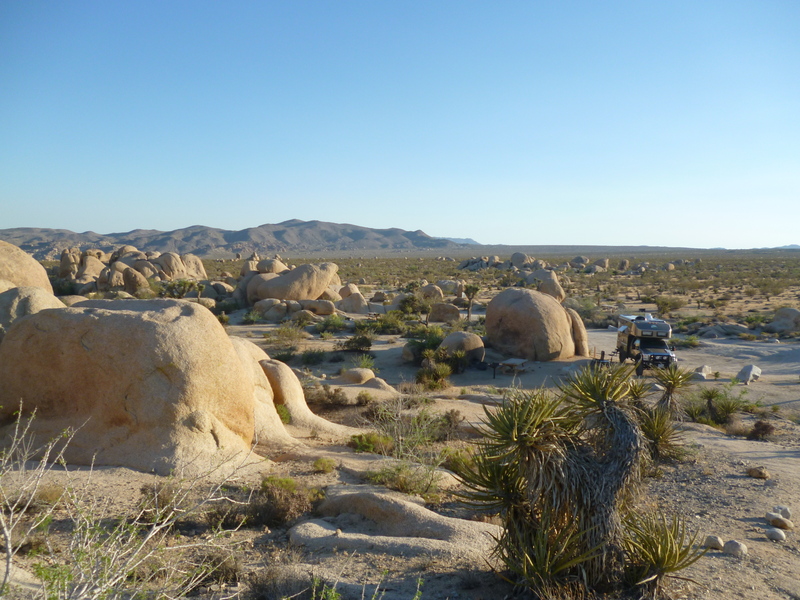 We also did the 18 mile geology road into the park’s back country. 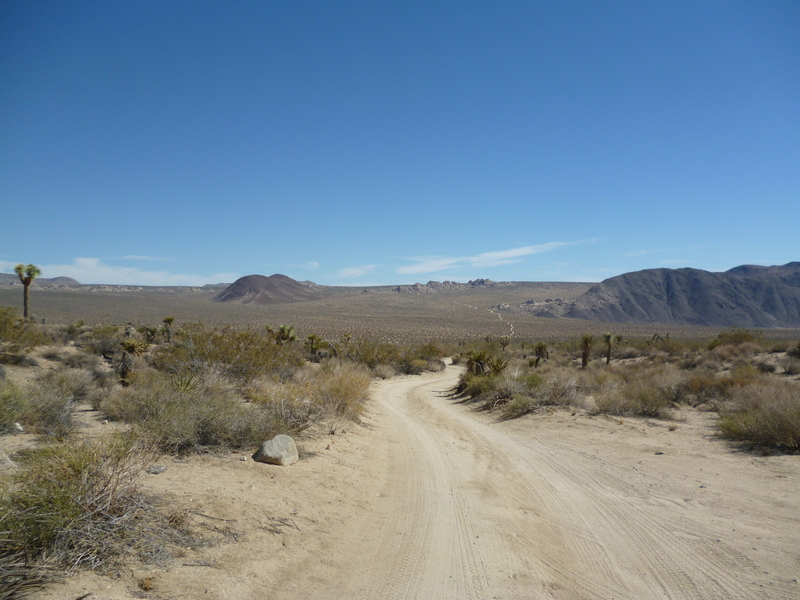 What would a trip to Joshua Tree be without a drive on “a street with no name”. 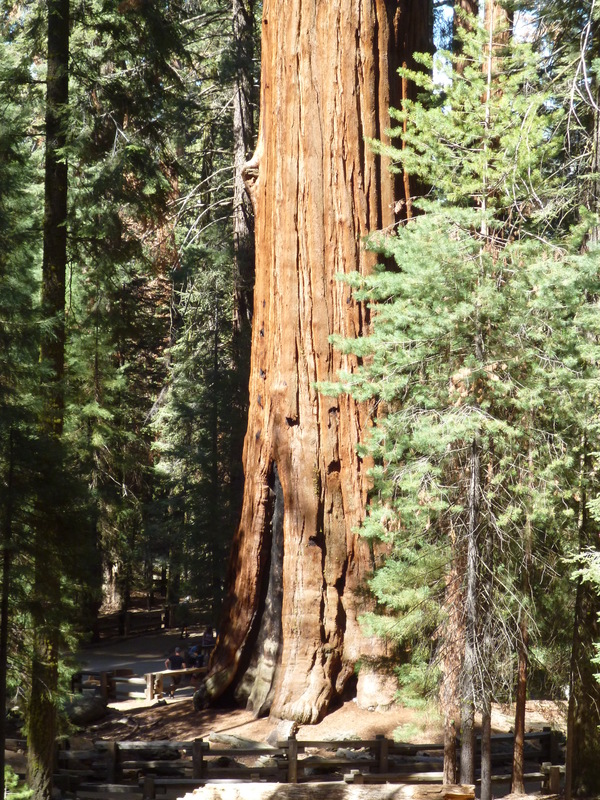 Our next stop was at Sequoia NP. Last time we were there was when Tom was 6 weeks old and we took off on a NP tour with him. We did a lot of camping, hiking and realized that a little dirt and tree sap on a baby’s bottle did nothing bad. It was nice to be back and you do forget how massive the sequoia’s are though. 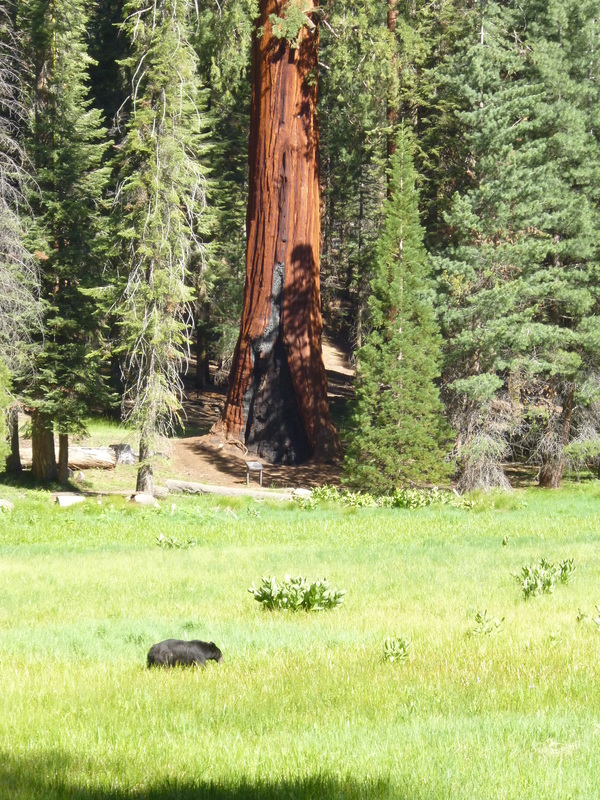 Our campsite was at Potwisha, which is within the park but lower in elevation that the sequoia groves. 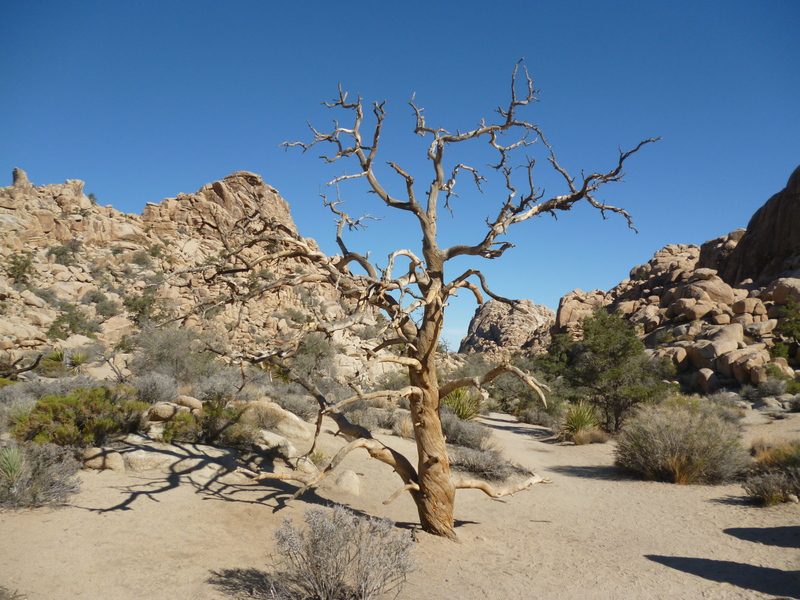 The lower elevations of California were dry and warm. 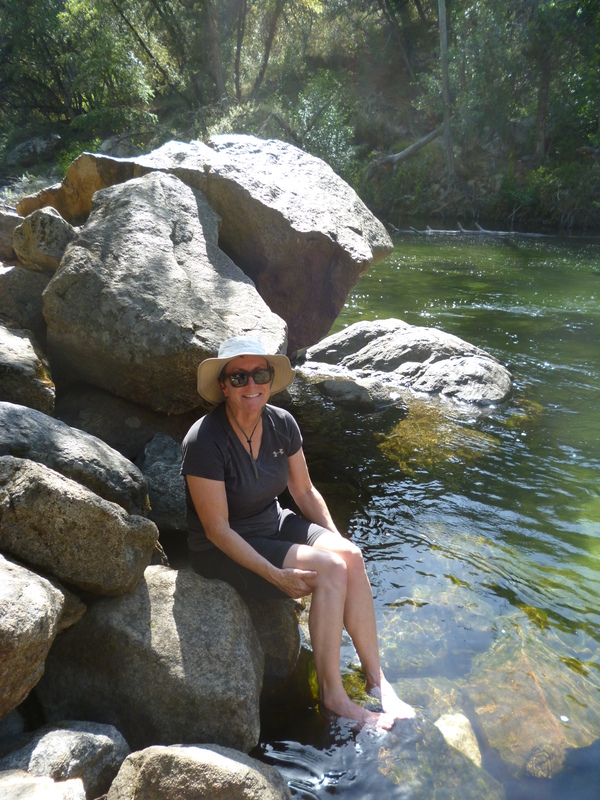 Luckily there was by a nice cold stream that we hiked to and dabbled our feet in to keep cool after we arrived. The campground was pretty eventful. First, as we were heading to bed for the night a college student biking across America asked if he could pitch a tent in our site since we have the RV. I said sure and found out he was a Virginia Tech Hokie with a plan to bike from San Diego to Virginia Beach. Lief was on day 5 of his trip and spent the day sightseeing in the park. The next morning a black bear rolled a camper awake who was just in a sleeping bag without a tent under the stars. Apparently the bear had been visiting the campground to find food and Shaun was just in the wrong place. Pam made him a cup of coffee and we talked as he calmed himself down from the encounter. He woke up looking into the face of what looked like a 200-lb bear as I saw it disappear over the bank with his sleeping bag. He had three good raised claw marks across his side and back but the bear didn’t break his skin. When we got back from sightseeing for the day the “bear tech” team was in the camp with two bear traps to catch and relocate the bear. We spent the day hiking the trails through the park. While we only saw a single bear all last summer in New Hampshire we saw seven bears during that day in Sequoia, 5 black and 2 brown bears. There was a bear in every beautiful meadow during our hikes. 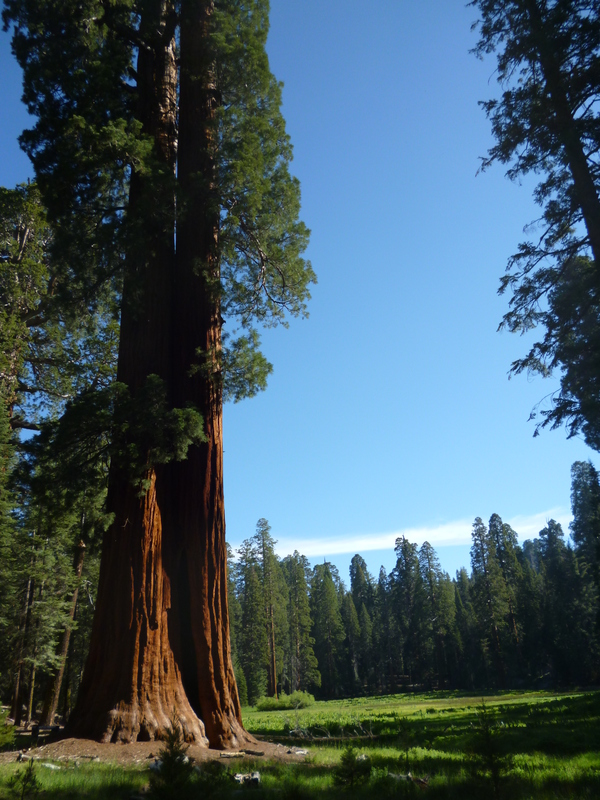 The General Sherman tree is the largest living thing. You can see the small folks near the 40 foot across base of the tree. The trees are just beautiful and it’s hard to grasp their size until you realize the trees nearby that look like saplings are really 60 foot tall full grown pines. The next stop was in Yosemite NP. 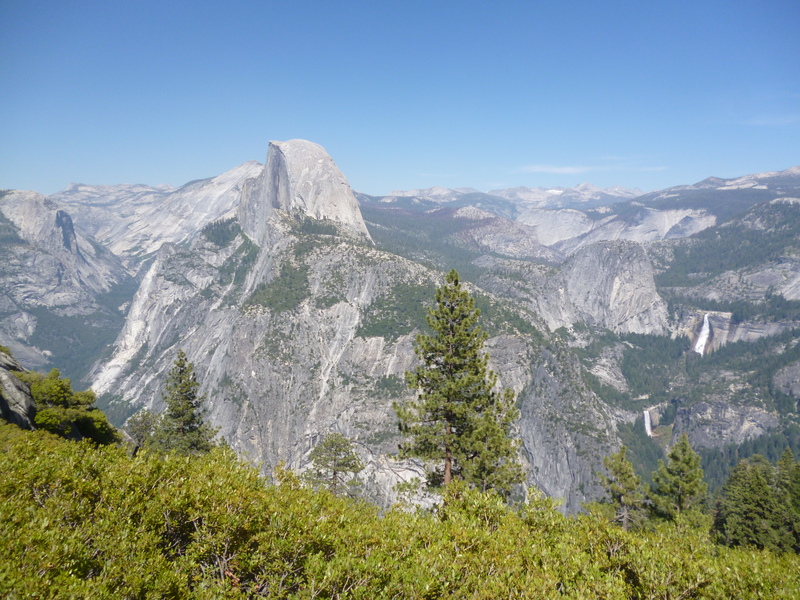 We camped at Bridalveil Creek campground, a campground near Glacier Point that is a first-come, first-serve campsite for those of us who didn’t book reservations many months in advance. 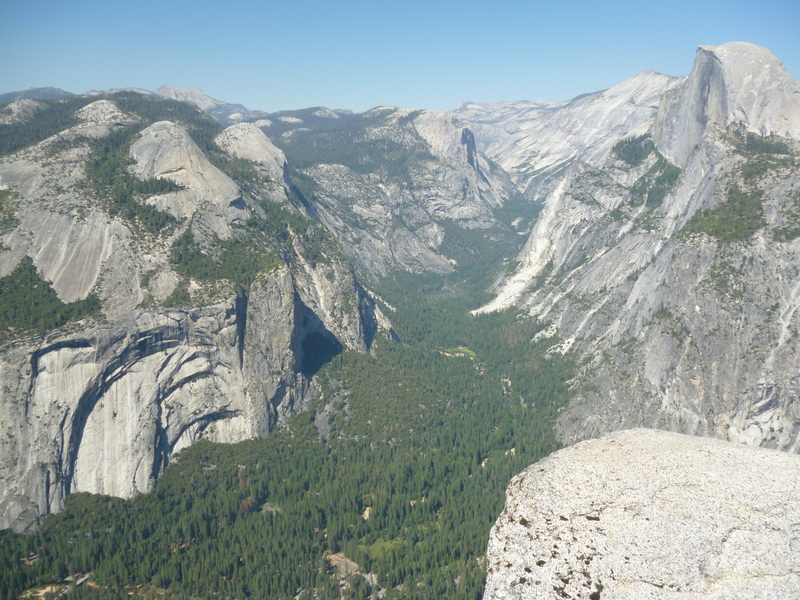 We had never been to Glacier Point but it has a spectacular view of the entire Yosemite valley. A wedding party was there for photos at the overlook. 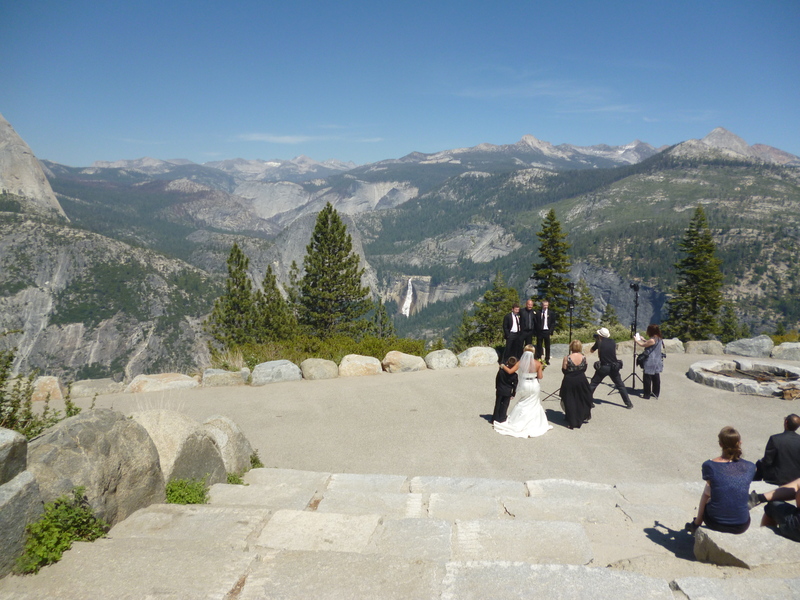 You could see both Nevada and Vernal falls from the Point. A pet peeve of mine is that cars use RV parking as the overflow parking spots leaving no spots for RVs to park. 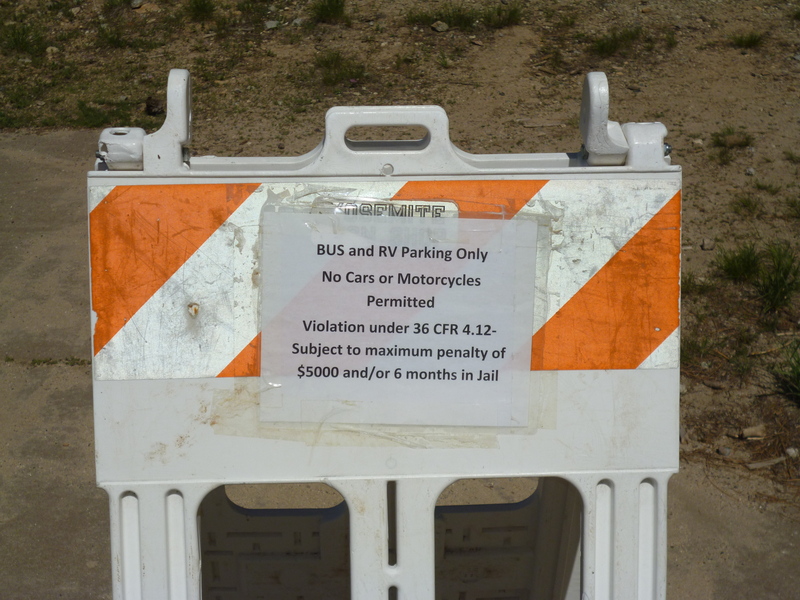 Yosemite had these signs posted on the RV spots to eliminate that from occurring. Oh yeah! At our campsite, a Korean family stopped to have a snack at the campsite next to ours. We began to talk and after some time he offered me some Korean gifts: Soju and kimchi flavored noodles – who could even make this stuff up! He was surprised that I had been to his country and enjoyed Korean food as well as Soju. In return we gave him some micro-brew beers to try that we had picked up in Fresno. 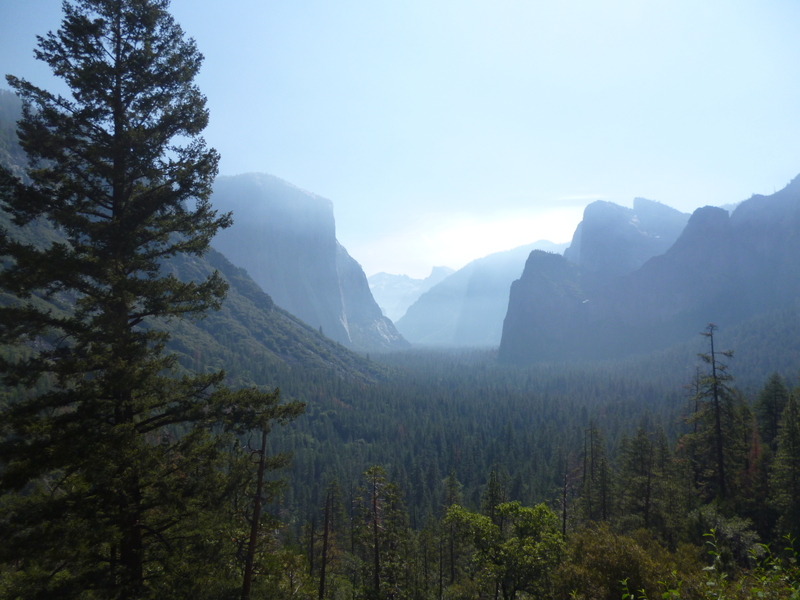 We traveled down into Yosemite Valley the second day there but a forest fire outside the park made the air very hazy and our shot of the entrance a little less spectacular, but still very awe inspiring to see the thousands of feet of solid granite rising up into the sky on both sides. 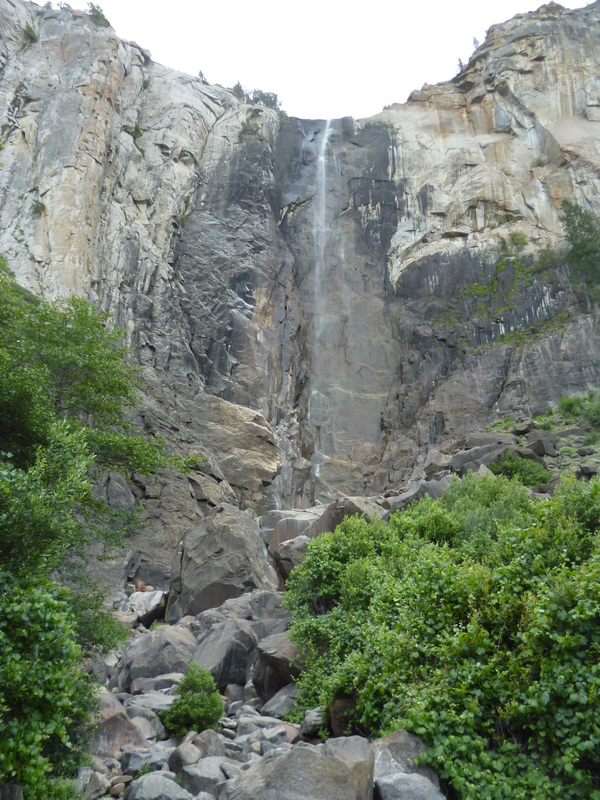 We hiked to the Bridalveil falls before leaving the park. We are in Sonoma now with an alumni of Pam’s high school and heading to the Pacific coast tomorrow.